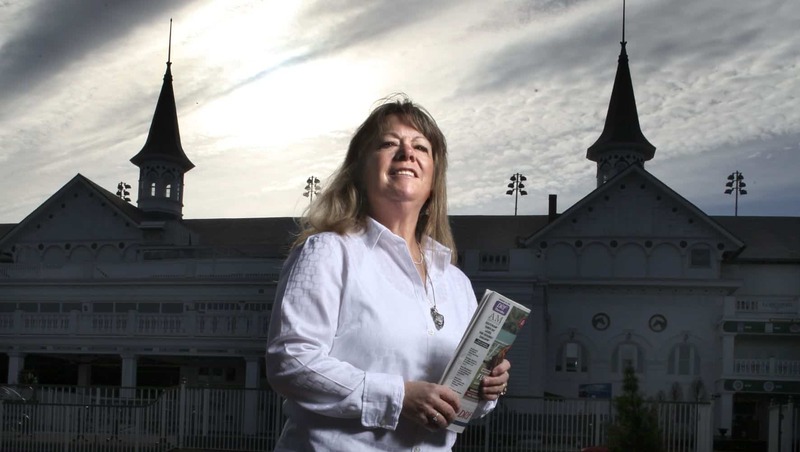 LEXINGTON, Ky. (Tuesday, January 5, 2016) – The National Thoroughbred Racing Association (NTRA), Daily Racing Form and the National Turf Writers And Broadcasters (NTWAB) today announced that Jennie Rees has won the 2015 Media Eclipse Award for Writing in the Feature/Commentary category for “Dyslexia Doesn’t Slow Down Keen Ice Trainer Romans,” a discovery of how Dale Romans overcame a severe reading disability as a child on his way to becoming one of America’s top Thoroughbred trainers. The article was first published on the Louisville Courier-Journal website on October 28, 2015. This is a record fifth Eclipse Award for Rees, who retired in November 2015 after 34 years with the Courier-Journal. Rees spent the preponderance of those years as the publication’s horse racing writer, punctuated by her meticulous coverage of the races leading to the Kentucky Derby and the Triple Crown each year. Rees, who lives in Louisville, won Media Eclipse Awards for magazine writing in 1988, for newspaper and news-enterprise writing in 1993 and 2011, respectively, and was the main writer on the Courier-Journal’s Eclipse Award-winning entry in the Multi-Media category in 2008. Rees will be presented her trophy at the 45th Annual Eclipse Awards dinner and ceremony on Saturday, January 16, at Gulfstream Park Racing & Casino in Hallandale Beach, Fla. The Eclipse Awards are presented by Daily Racing Form, Breeders’ Cup and The Stronach Group and produced by the NTRA. Rees originally intended to write a column on Romans’ matriculation from a claiming trainer to running one of the nation’s preeminent operations. Rees was aware of Romans’ childhood dyslexia but had not pursued the matter in the past. The trainer broached the subject while being interviewed by Rees for a video to accompany the story. But the pivotal point came after Romans called Rees on another matter and, following up on the earlier conversation, the writer asked “if he thought he was stupid in school… And Dale said ‘Yeah.’” That led to Romans’ most powerful reflection on the difficult period of his childhood. Along the way, Rees discovers that Romans wrote a composition completely backwards in the second grade, and that Tammy Fox, Romans’ lifetime partner for 25 years, did not know of Dale’s dyslexia until both of their children were born. Some Breeders’ Cup participants have traveled thousands of miles to get to Keeneland. Romans only had to trek the 75 miles from Louisville, but it reflects a long and arduous journey that started in an era when people were just beginning to understand that not everyone learns in the same way. Rees interviewed Romans’ mother, Lynn, for whom Dale gives enormous credit for “providing him the groundwork to thrive,” and who, in fact, enrolled the young boy in special classes at the University of Louisville. Rees also spoke to prominent Louisville businessman Frank Jones Sr., who has a string of horses with Romans. Honorable mention in the Feature/Commentary category went to Vinnie Perrone for “Hall of Fame Ride: Maryland Trainer Leatherbury takes place among Thoroughbred Racing Legend,” a profile of King T. Leatherbury, which appeared in the Mid-Atlantic Thoroughbred in August 2015; Joe Drape for “Ahmed Zayat’s Journey: Bankruptcy and Big Bets,” which appeared in The New York Times on June 5, 2015; and to Melissa Hoppert, also of The New York Times, whose article “A Storied Trainer and a Witness to History,” about Hall of Famer John Nerud, appeared in print on June 7, 2015. Judges in this category were Ed Gray, former Boston Herald racing writer; Lynne Snierson, former sports writer for the Boston Globe and the St. Louis Post-Dispatch; Hank Wesch, former racing writer for the San Diego Union-Tribune; and Richard Rosenblatt, racing and sports writer for The Associated Press.